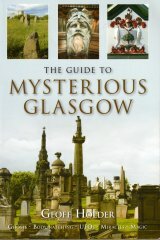 Decorative cast iron manufacturers and general ironfounders based at the Denny Works, Glasgow Road, Denny, Stirlingshire. Very little is known about the origins of the foundry itself, or its founders. However, the fact that its products are rarely referred to in recent literature on ornamental ironwork suggests that it was much smaller than many of its contemporary rivals, e.g. Walter Macfarlane�s Saracen Foundry and George Smith�s Sun Foundry in Glasgow, and the Lion Foundry in Kirkintilloch and the Carron Foundry in Falkirk. They produced ornamental castings for buildings and castings for their utilities, such as external rain pipes and internal sanitary fixtures, and also produced agricultural impliments and machinery, all of which could be purchased from their illustrated pattern books. 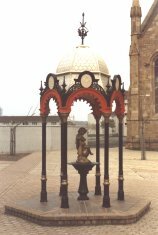 Like their rivals, Cruikshanks produced public drinking fountains of various types, sizes and degrees of ornamentation, with their larger patterns occasionally being erected as commemorative fountains. 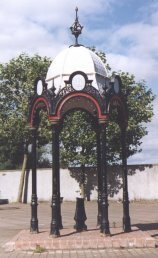 The only known survivor of their large- scale, commemorative work is the Dr John Aitken Drinking Fountain at Govan Cross, Glasgow (1884). This is in the form of a free-standing canopy supported by eight slender columns beneath which was a central drinking well. This was originally surmounted by a cherub seated on an overturned urn from which the water flowed, until it was broken off in the early 1990s. Interestingly, the cherub was a copy of the cherubs produced by the Sun Foundry for its public fountains, a good surviving example of which is at the gates of Alexandra Park (c. 1900). The cherubs are illustrated in the Sun Foundry's catalogues as Pattern No. 8: Boy with Paddle and Urn (Copies of these were also used on the Stewart Memorial Founain in Kelvingrove Park as early as 1872, by Mossman, who was possibly their modeller). The Aitken fountain currently in a ruinous state, its cherub lost and its ironwork rusting away. A scheme restore the fountain has recently been announced as part of a �1m regeneration of Govan Cross. Cruikshanks survived longer than its main rivals, until 1985, when it finally closed. Most of the firms records and pattern books were destroyed in a fire at around this time and their few remaining documents are in the collection of Falkirk Council Archives at Callender House in Falkirk. The foundry's office building, erected in the Classical style in 1937, still stands on Glasgow Road.